Have you imagined what it would be like to do beach horseback riding? Feeling the sun on your skin, listening to the sea breeze and the sound of the waves, it is an experience that will connect you completely with nature and make you feel liberated… even better if you could do in one of the best beaches of Costa Rica, for example, in Carate Beach you could have this amazing tour. 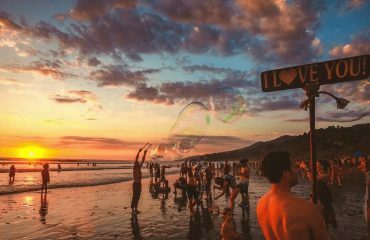 If you are looking for an adventure through the exuberant beaches of Costa Rica, you can do it with your family, friends or even alone, the best time to have an adventurous trip is riding early in the morning. On the other hand, if you are looking for a romantic getaway with your partner, it is best to do it right at dusk. Although, anyone can take the beach horseback riding, even if you have never ridden a horse, it will be a great way to ride these majestic animals for the first time. 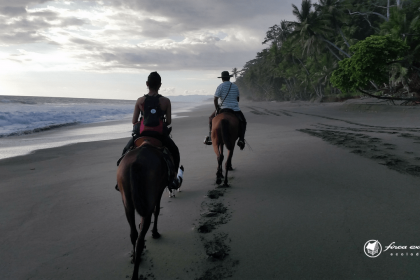 But even so, for those who are more accustomed to these animals, they ensure beach horseback riding is a completely different experience, so it will be worth trying. Wear comfortable clothes: While bikini and shorts are the most common clothes to wear on the beach, they are not suitable for beach horseback riding. It’s important to use loose pants that will protect you and make you feel comfortable while riding the animal, also, you cannot forget a long sleeve shirt and a cap that covers you from the sun. Pet your horse: Horses are very sensitive animals, it is even believed that to ride them and have a pleasant trip, you must earn their trust. It is important that the horse feels affection, in this way it will be more pleasant to ride it. Feel safe: Beach horseback riding can be a frightening thing, especially if it’s the first time you do it. However, the more confident the rider feels, the more confident the horse will feel. ¡Trust your horse! Walking slowly: When we go for a horse ride we think about the movies or the professional riders and feel the need to gallop at full speed. However, the best thing is, at least at the beginning, to walk slowly, it is important that the animal get used to us and we get used to him. Keep your eyes facing front: Although the horses are quite intuitive, they can sometimes get sidetracked, for this reason it is important that the rider is always facing front, after all, the rider is the one who tells the horse what to do. Be gentle with the horse: Never forget that the horse can feel as much as you. If the animal notices that the rider is gentle and gives the orders with affection, the horse will behave more friendly and the trip will be more pleasant. 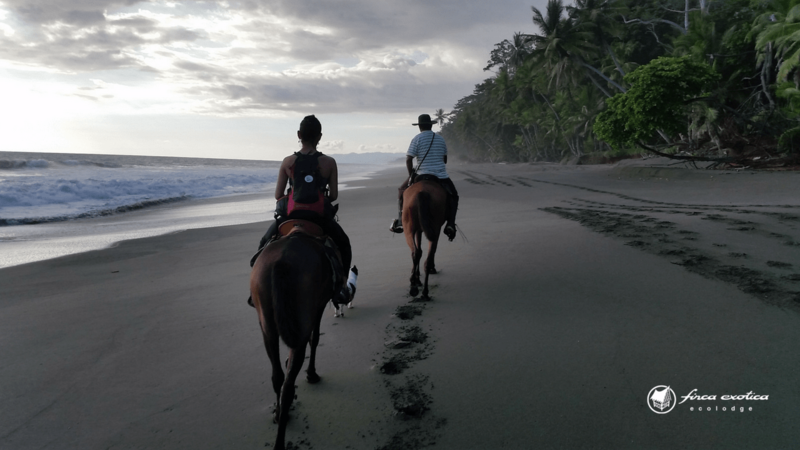 There is a real magic about beach horseback riding in Costa Rica, it is an unforgettable adventure in the perfect scenery, a different way of connecting with nature and with these majestic animals. It’s undoubtedly an opportunity you cannot miss. 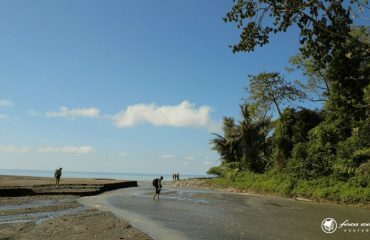 If you would like to have this tour, in Finca Exotica Ecolodge we can help you out. Visit our site for more information.